This is a large, attractive looking pub, with a nice view of the surrounding valley, whilst the inside decor is clean and pleasant. Ales served included three commonly seen brews including Black Sheep and Everards Tiger. On the face of it, there is little to criticise, however, as I judge this pub almost entirely on its merits as a pub rather than a restauraunt, then it is somewhat spoilt by the impression that it devotes most of its efforts to food. Our food was okay, but there were no drinkers in the place and it all felt a little like a nice hotel bar rather than the pub it should be, lacking both locals or atmosphere. Nice place to take the family for a 'pub meal', but if you want a pint in a traditional pub, you may prefer somewhere else. 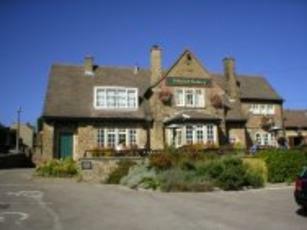 The Admiral Rodney in loxley is a mitchell & butler "vintage inn" on the north west side of sheffield. It sits on the B6077 out of hillsborough, looking out over the rivelin valley on the edge of the peak district national park. 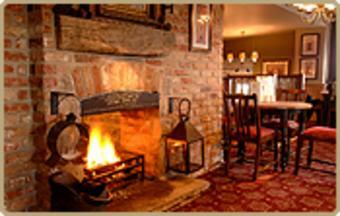 It is a large-fronted, stone-built traditional country pub and restaurant built in the 1950s. It is set back from the road, with a large car park to the front. An entrance archway leads up steps on to an open outdoor patio at the front, with seating and spectacular views out over the valley. We called recently for a weekday work lunch. inside it is mainly open plan in stone and timber, numerous areas with table & chair seating. There is an open fire, used in winter. Seating looks to be for around 100. The tables have menus and cutlery, but are not table-clothed, so can be used by non-diners. The place was quiet and there were only a few customers in at the time. there is an extensive menu served all day mon-sat till 10pm, sun till 9:30. Snacks sweets at �3+, mains �7-15. There were 2 cask ales, black sheep bitter and taylors landlord. Both were in good condition. The meals we had were very tasty, but not overly large portions for the price. The sweets were particularly nice. attractive pub. nice ale and meals, though not exceptional value. Sort of place I would go for a treat occasionally. Earns an "8" from me.